Our palliative care team, known as the Pediatric Advanced Care Team (PACT), works to manage stress and symptoms, explains how children and families can fit serious illness into their lives, helps families make tough decisions about care, identifies resources to help make a child's life better and coordinates with the teams caring for the child and family. Our Pediatric Advanced Care Team (PACT) is trained to listen, assess and find innovative ways to make life as good as possible for each child. We partner and collaborate with pediatric specialists across a variety of clinical services. In 2011, Children’s introduced pediatric palliative care services to help improve the quality of life of children with serious and life-threatening conditions. Our Pediatric Advanced Care Team (PACT) helps patients deal with the stress and symptoms at every stage of serious illness. PACT provides research, community outreach, educational assistance and oversight of clinical and public policy. While palliative care alone cannot bridge the gaps in care that exist for patients with serious and life threatening conditions, we share our knowledge with outside providers so that we can make a difference for children throughout the region. 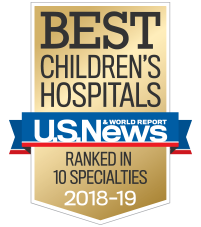 Children's is able to help provide the most up-to-date care for our patients and develop new programs like PACT due to the generous support of our donors. To support PACT, contact Katie Miller at 404-785-7346. Center to Advance Palliative Care: What is Pediatric Palliative Care? Pediatric Palliative Care: Article on the Children's palliative care program by Program Director Jeffery C. Klick, M.D., and Meghan Tracewski, C.P.N.P. Courageous Parents Network: Helping parents and providers get families through serious pediatric illness. FOCUS: Offering comfort, hope, and fun to families with children who are medically fragile or have significant developmental or physical disabilities. Call the PACT team to learn more.